One of the most essential components of every residential and commercial garage door model is the spring. Whenever it is operated or lifted, the entire door weight is carried by the springs. Since they constantly bear high tension, they break or stretch periodically. At Whitby Garage Doors, we are a premiere overhead door service provider in Oshawa & Whitby that has emerged as a leader in the industry. No matter, you are facing the torsion or extension spring troubles, we are here to assist you right away. There are mainly two types of springs that are used in the modern or automatic garage doors – torsion & extension springs. The modern day overhead doors comprise torsion springs that are directly mounted above the door. They are a form of galvanized springs that are manufactured from the soft steel. With usage and time, torsion springs lose their strength that actually forces them to break. 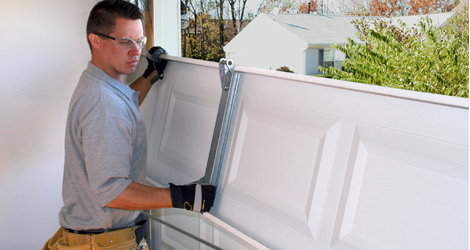 At Whitby Garage Doors, we provide highly durable garage door spring replacement and repair service in Oshawa & Whitby. Extension springs are less utilized door springs that are mounted on the door tracks on the either side. They allow the convenient and smooth operation by raising or lowering the door by stretching and contracting it. They are comparatively easy to break or damage compared to the torsion springs. Call To Get Your Faulty Door Springs Replaced!